Rwanda is implementing an ambitious plan for leapfrogging to become a technological hub in Africa. Article here, by Xan Rice, in the UK’s Guardian. It’s an interesting, and potentially inspirational project– 5 young graduates of technology masters programs who studied abroad, in India, France, and South Africa are leading the government efforts. It will be a fascinating space to watch, and the whole world will be cheering for their success. If it can be done there with the vision of just a handful of visionaries, that speaks well to how quickly we can make rapid changes, if the right people are in charge. “Rwanda is to some extent doing with technology what Britain did with mechanisation during the industrial revolution,” said Calestous Juma, professor of international development at Harvard University, who believes the plan can serve as an inspiration for Africa. Donor countries are more cautious. 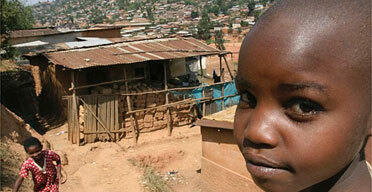 Two-thirds of Rwandans live below the poverty line, half are illiterate and four in five live in rural areas. Aids and the 1994 genocide have created tens of thousands of orphans. Technology is not the main priority, they say. But government officials insist that not only is their plan viable, but that there is no alternative. As one of Africa’s most densely populated countries, large-scale farming is impossible. There are few valuable minerals or oil deposits. The country is landlocked. Progress has been slower than hoped – only 26% of targets have been met on time so far – but still significant. When the ICT plan was launched in 2000 only one school in the country had a computer, there was a single internet cafe and a handful of science graduates, and fewer than 100,000 of 8 million people had mobile or fixed-line phones. Today half of the 2,300 primary schools have at least one computer. There are 30 internet cafes in the leading cities and there will be 30 more in even the most remote rural areas by 2007. Telecoms companies hawk broadband internet for home use. More than 300,000 people have mobiles. If a plan to assemble phones locally, and sell them for the equivalent of £19 with six months to pay, comes to fruition the growth will be even faster.